Macedonia gained its independence peacefully from Yugoslavia in 1991, but Greece's objection to the new state's use of what it considered a Hellenic name and symbols delayed international recognition, which occurred under the provisional designation of "the Former Yugoslav Republic of Macedonia." In 1995, Greece lifted a 20-month trade embargo and the two countries agreed to normalize relations. The United States began referring to Macedonia by its constitutional name, Republic of Macedonia, in 2004 and negotiations continue between Greece and Macedonia to resolve the name issue. Some ethnic Albanians, angered by perceived political and economic inequities, launched an insurgency in 2001 that eventually won the support of the majority of Macedonia's Albanian population and led to the internationally-brokered Framework Agreement, which ended the fighting by establishing a set of new laws enhancing the rights of minorities. Fully implementing the Framework Agreement and stimulating economic growth and development continue to be challenges for Macedonia, although progress has been made on both fronts over the past several years. For silver and base metal coins of the Macedonia, please look at our original Chard Coins website. 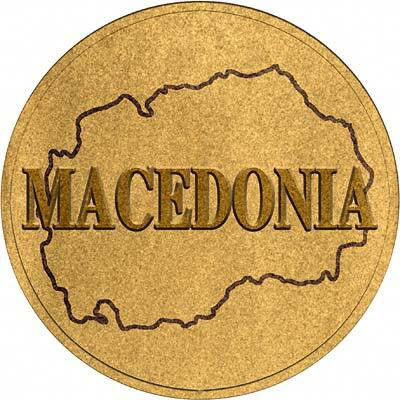 We make an active market in almost all world coins, gold or otherwise, including Macedonian gold coins. If you have any of these coins to sell, please contact us, or post them to us for appraisal and offer.